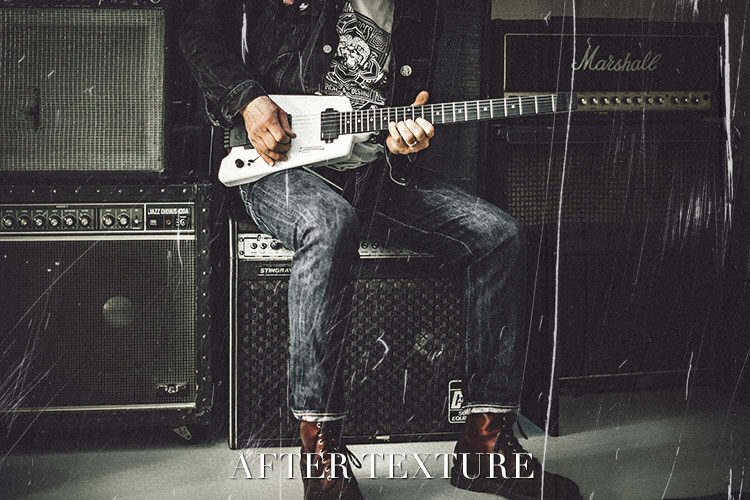 Give your images a distressed and weathered look with our exclusive Dust & Scratches texture pack! 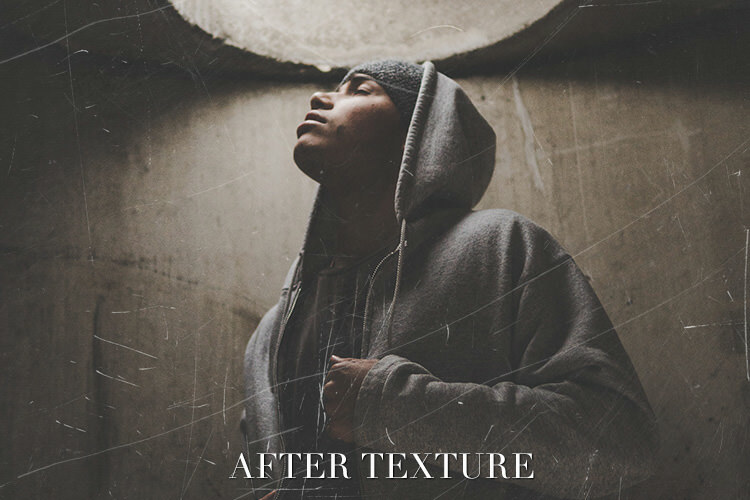 Designed to help you instantly add style to any photo, these textures are perfect for creating vintage wedding photos, gritty urban landscapes, and tactile logos. 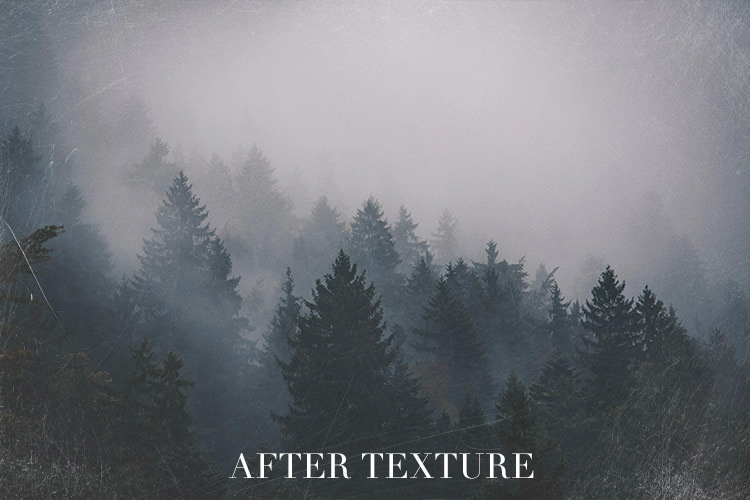 With 30 different high-resolution textures that can be applied in seconds, this is a pack that you’re sure to find yourself coming back to again and again. 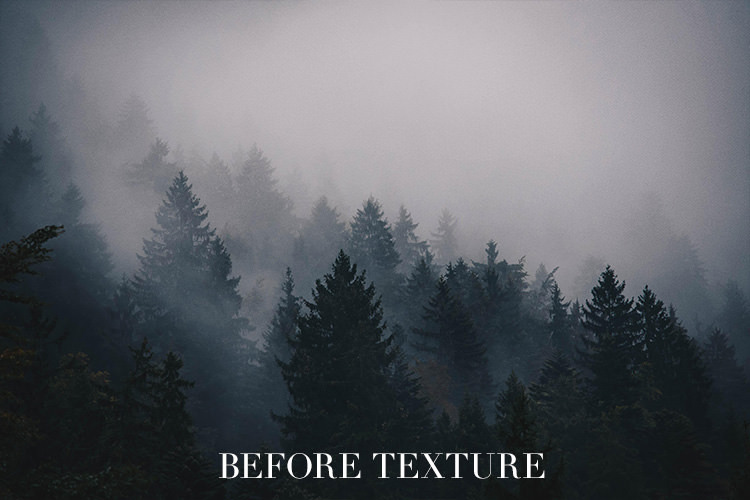 Simply copy the texture into a Photoshop document and change the layer blend mode to Screen. 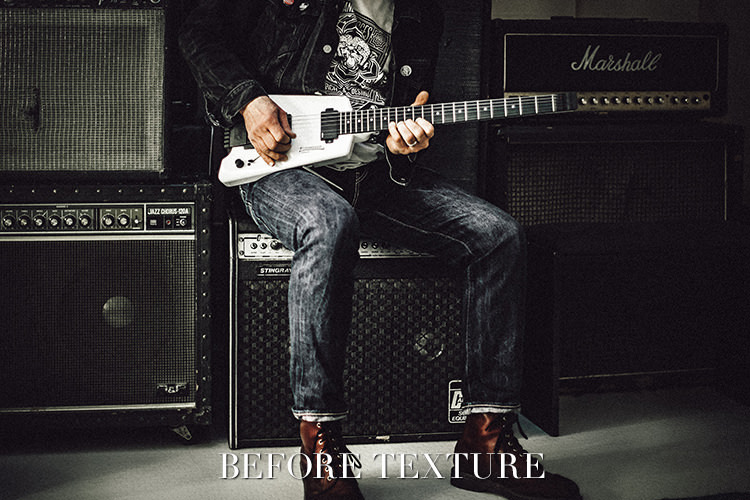 From there you can adjust the opacity or us a layer mask to help blend it in with the underlying image. Also, don’t forget you can add multiple textures together for different looks! 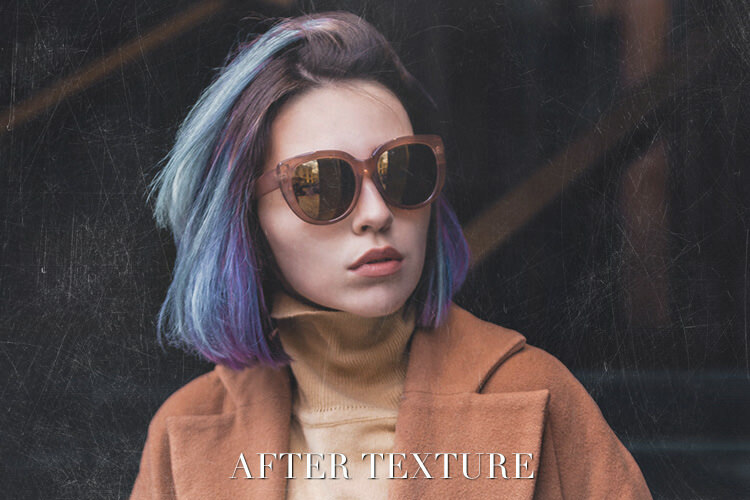 Giving an image a worn and distressed look can work great for any theme, from the romantic fantasy to the dark and moody. If you’re trying to nail a certain feel and atmosphere in a photo, look no further. 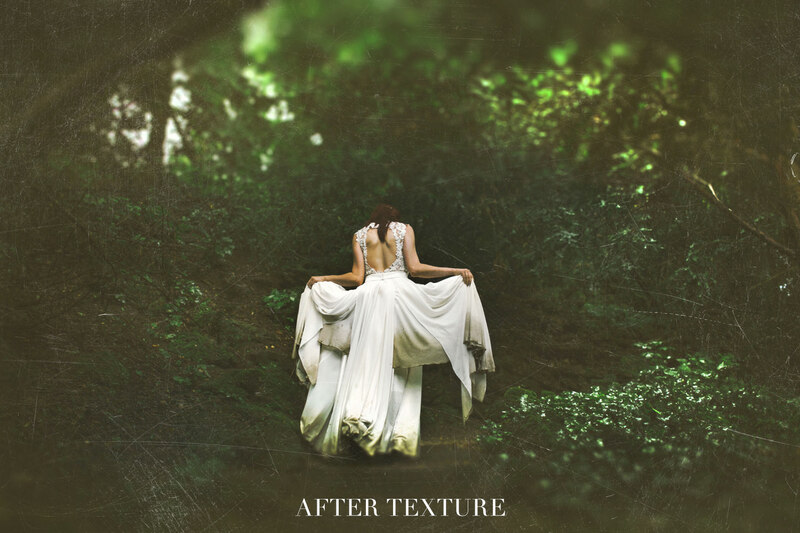 These textures are great for the professional photo editor or the casual creative. 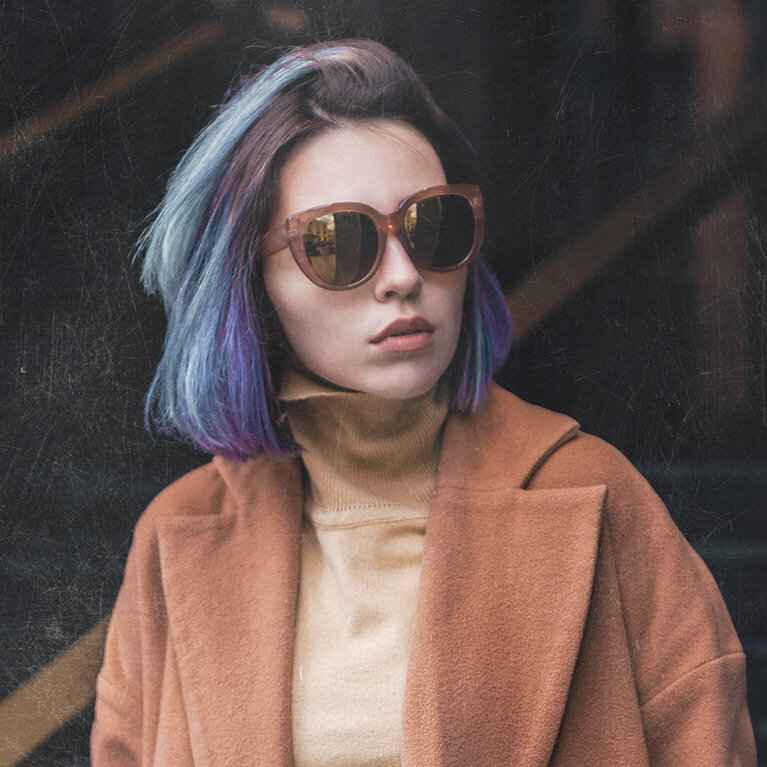 Whether you’re making album covers, event posters, advertisements, or just simply applying them to your images, these looks are useful for countless situations. 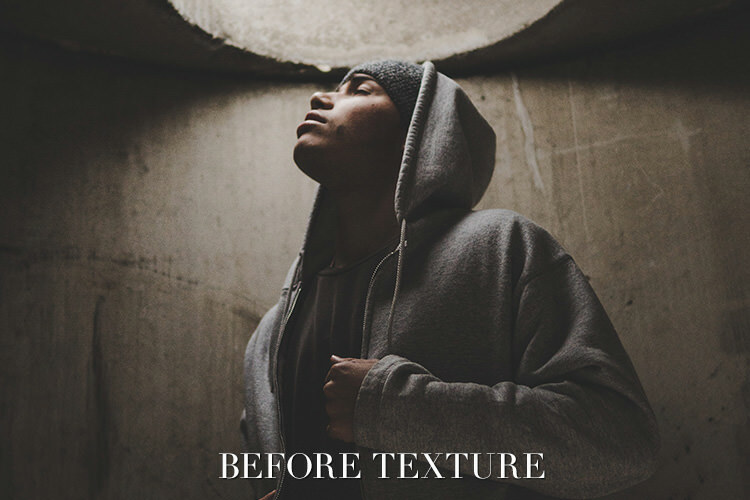 Adding textures can be a great finishing touch to any photo edit. After you’ve cropped, retouched, and colored an image, apply one of these textures to help tie it all together. Sometimes one more layer makes all the difference.